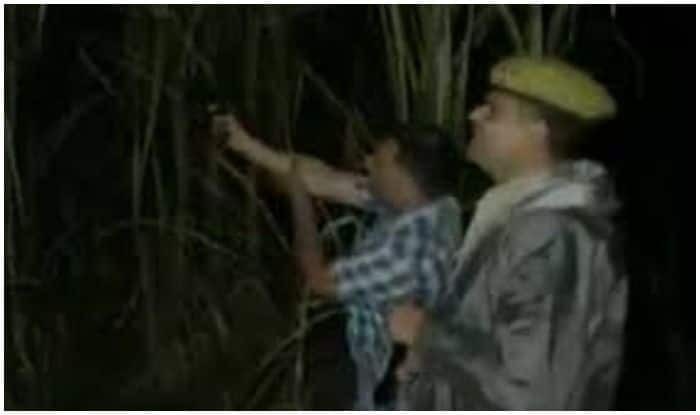 New Delhi: The Uttar Pradesh policeman, who was in headlines for shouting ‘thain thain’ during an encounter, was injured after getting hit by a bullet in a gunfight with criminals. The incident took place in the Sambhal district of the state. The policeman is identified as Manoj Kumar. According to the incident, the encounter between police and wanted criminal took place in Asmoli police limits on Friday. In the encounter, sub-inspector Manoj Kumar sustained bullet injuries in his hand and is undergoing treatment in the hospital. Sambhal SP said that in the operation one of the miscreants sustained injuries and other managed to flee the spot. Last year in October, Kumar had hit the headlines after he mimicked the sound of a gunshot as his pistol got jammed during an encounter with criminals in Sambhal district. The video of the incident had gone viral on the social media. In the video, a police officer was seen shouting ‘maaro, maaro, ghero, thain, thain’ with the intention of scaring the criminals. During the course of the encounter, one police personnel had sustained injuries, while a criminal was also nabbed after being shot. The said criminal was wanted in a number of robbery cases and was carrying an award of Rs 25 thousand on his head.